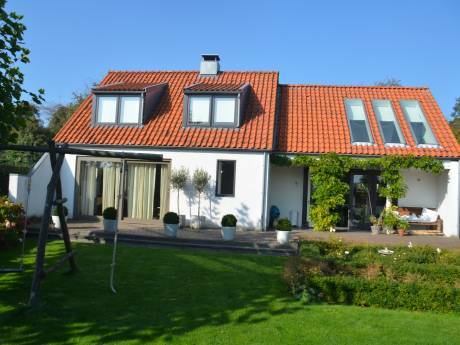 Beautiful and spacious FAMILY HOME near Amsterdam! 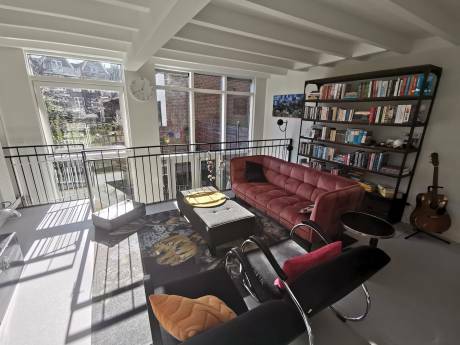 Our beautiful house is located in Leiden, a great historic city in the western part of Holland with a wide variety of museums, beaches, lakes and cities like Amsterdam, The Hague and Rotterdam closeby. We live in our house since 2008 after it was completely renovated to our taste, and we love it. The house was built in 1920 and has several nice old details combined with today's luxury. 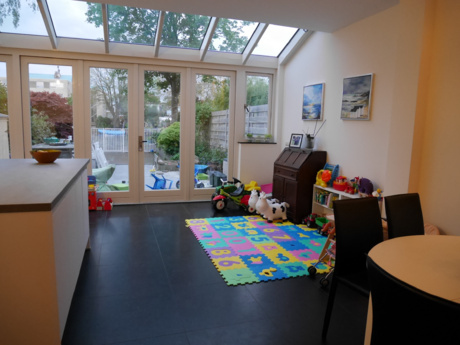 The ground floor is lofty and very spacious with a large kitchen adjacent to the garden. In summer it's possible to open the entire back facade by opening the sliding doors, connecting the garden to the dining room. Since we love cooking, the kitchen is fully equipped with a large professional oven (which has a pizza stone to make delicious pizza's) and a steam oven. Also a large fridge, freezer, dishwasher, Kitchen Aid, bread machine, juicer/Blender and a boiling water tap are built in. The living room is situated around a large fireplace and next to it is another room, separated by ensuite doors. This one is most of the time used by our two children and houses a lot of toys. A central hallway, restroom and study are also situated on the groundfloor. If you walk up the stairs you will find a large bathroom (with bath and separate shower) and three bedrooms. On the second floor there's another bathroom, two bedrooms with twin beds and the laundry room. Our garden is the green part of our house and offers all ingredients for a relaxed day. Read, play, jump the trampoline, shoot some hoops, listen to the wide variety of singing birds, bbq (Weber XL and Green Egg), dine etc. There are more than enough toys (Duplo/Lego/KAPLA, Xbox etc.) for children to enjoy themselves. For easy travel we have several bicycles available. Our two cats can stay in the garden during the day. High speed internet is available, so you can stay in touch with your family and friends and find out all sorts of nice things to do in Holland. Amsterdam is 30 minutes by car or train, Schiphol airport less than 20 minutes. Our house is close to the city center and a five minute stroll from the train station. If you like, the train to Paris takes you there in less than 5 hours! Cities like Leiden, Amsterdam, the Hague and Rotterdam are famous for cultural heritage. Lots of museums are available, combined with vibrant city centers with cozy cafe's and boutiques. We will, of course, give you extensive information on visiting nice sights and things to do. 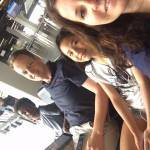 We are a Dutch family of 4 living in the Netherlands with our two kids of 9 and 12 years old. Traveling together as a family and creating memories is what we love most! Our perfect holiday consists of nature, culture, adventure and good food! Beach (good for swimming, walking, surfing/supping/kiting), bikes etc.